Last week, we looked at the exterior of the drum. Let’s face it; if this component fails this spring, you’re down for the count and not producing while the trucks form a line outside the gates. 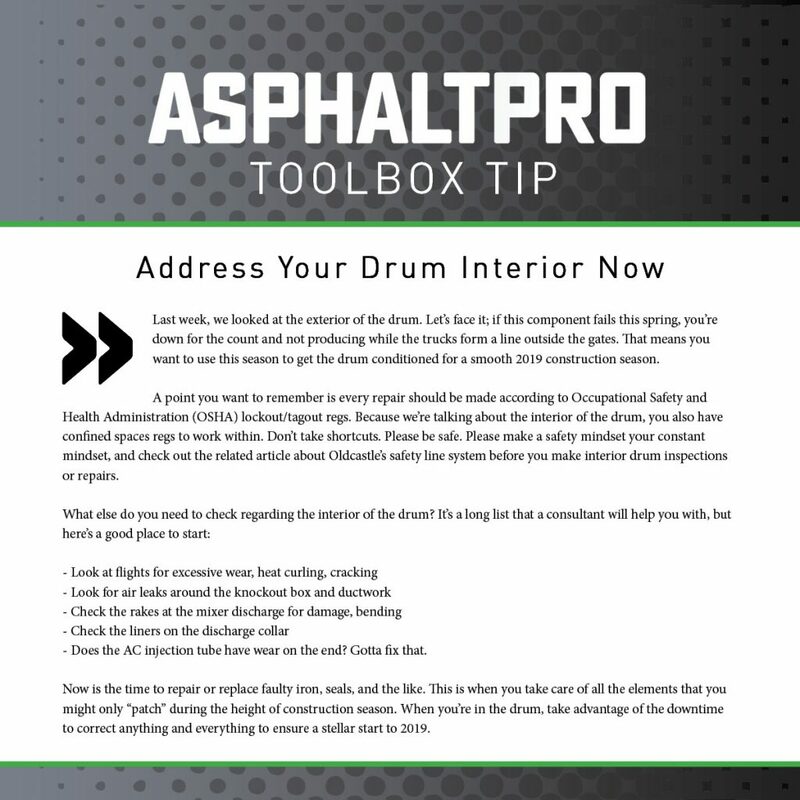 That means you want to use this season to get the drum conditioned for a smooth 2019 construction season. A point you want to remember is every repair should be made according to Occupational Safety and Health Administration (OSHA) lockout/tagout regs. 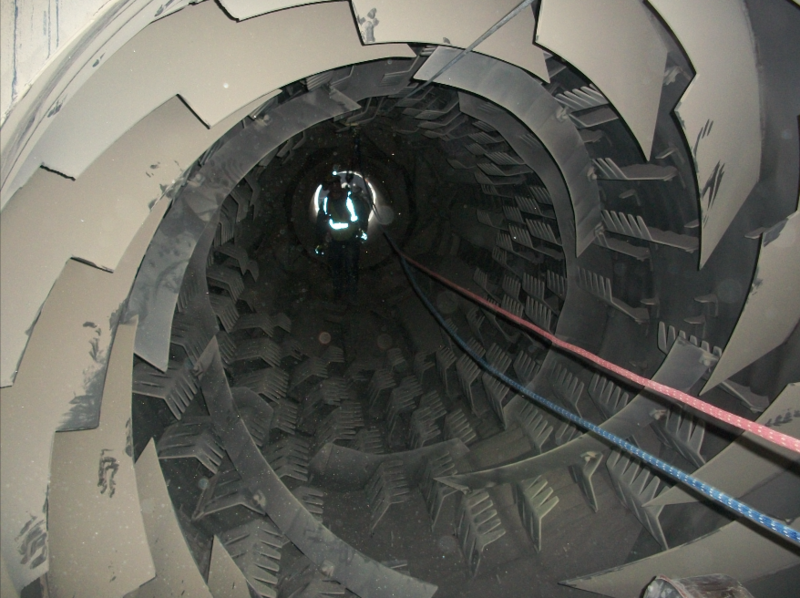 Because we’re talking about the interior of the drum, you also have confined spaces regs to work within. Don’t take shortcuts. Please be safe. Please make a safety mindset your constant mindset, and check out the related article about Oldcastle’s safety line system before you make interior drum inspections or repairs. – Does the AC injection tube have wear on the end? Gotta fix that. Now is the time to repair or replace faulty iron, seals, and the like. This is when you take care of all the elements that you might only “patch” during the height of construction season. When you’re in the drum, take advantage of the downtime to correct anything and everything to ensure a stellar start to 2019. Sign up to receive tips like this to your inbox every week! Can Your Laborer Work Their Way Up? How Seriously Does the New Crew Take Safety in the Work Zone?